Sri City, February 25, 2018:- At the Confederation of Indian Industry (CII) Partnership Summit being held at Visakhapatnam since Saturday, fourteen companies signed memoranda of understanding (MOUs) with AP Government, with a total commitment of about Rs.3500 crore investment in Sri City. 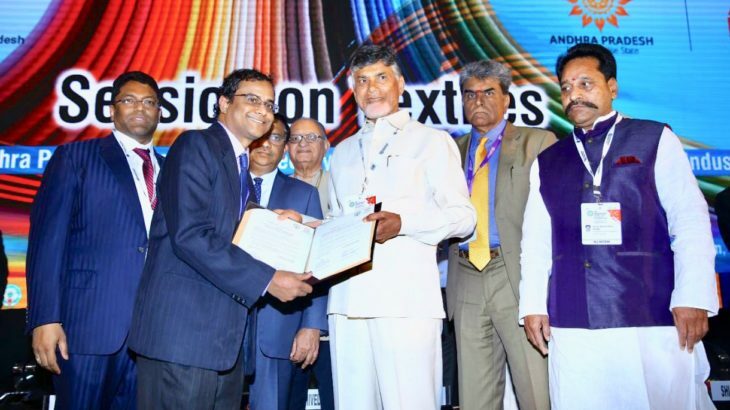 The MOUs were signed in the august presence of the Honourable Chief Minister of Andhra Pradesh Mr. Nara Chandrababu Naidu, Mr. Amarnatha Reddy, Minister for Industries and Mr. Talari Aditya, MLA, Satyavedu and Mr. Ravindranath Sannareddy, Founder Managing Director, Sri City. “The need of the hour is creating employment in the region, and we are very happy to note that all these companies would provide direct employment for about 4000 people,” he added. The 14 companies which inked the agreements with Sri City are from different sectors, viz., Engineering, Renewable Energy, Consumer durables, Logistics Solutions, Food processing, etc., All put together, these companies are expected to create job opportunities for about 4000 people. Of the 14 companies, 3 each are from China and USA, 2 from Japan, 1 from Singapore and the remaining are from India. While two companies (viz., ZTT and CX Precision) are expanding their existing units, remaining are all new customers.